professional photographer behind Joleen Pete Photography and the mama/blogger behind the Lifestyle/Baby blog, Love, Joleen. I’m a Southern California transplant, living and loving it in Atlanta, Georgia and the wife and first time mama to my two Benjamin’s. We recently celebrated our son’s first birthday with a “Vintage Storybook” themed birthday party. The invitations were sent in gutted Little Golden books and I used every bit of each book! 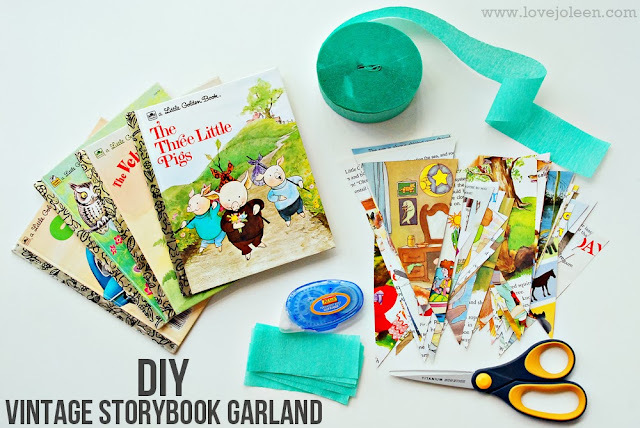 One of my main decorations were these simple vintage storybook garlands made out of the book pages and I’m here to tell you how to make your own! 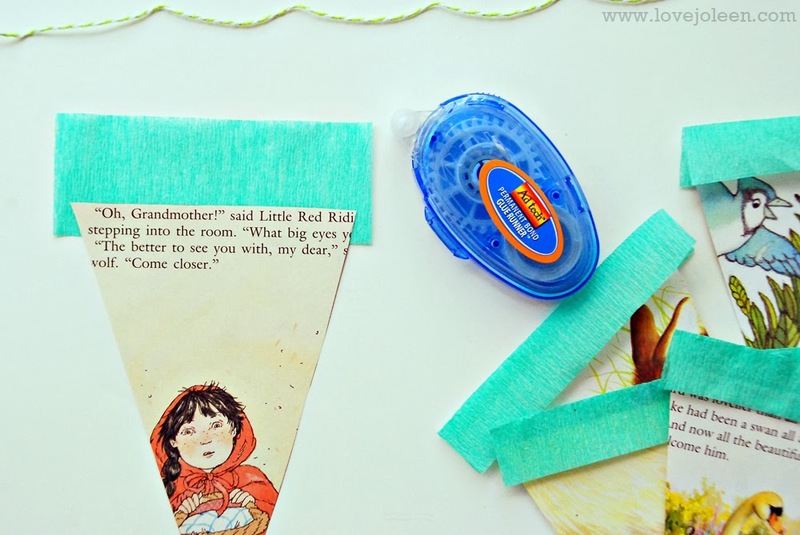 Step One – Create a triangle shaped template using a piece of cardboard (cereal boxes work great!) and then use it to cut the same shape from your book pages. Tip: Make sure you keep the template straight so that the text isn’t crooked. 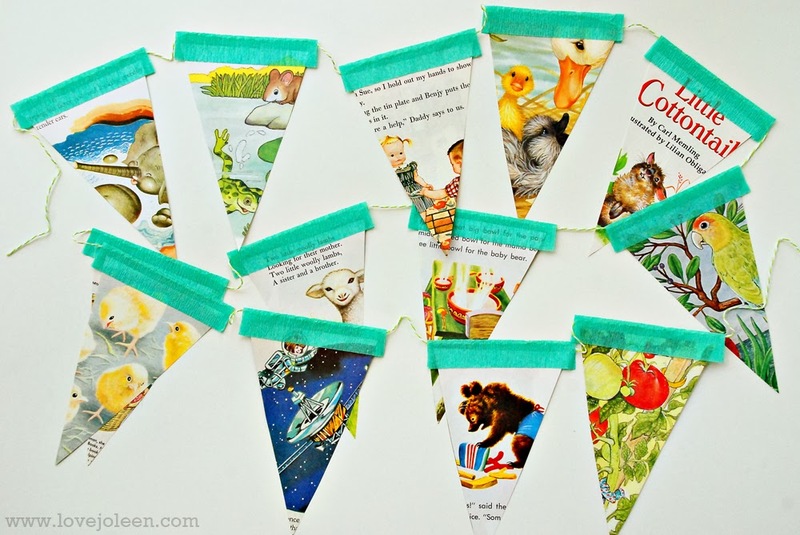 Step Two – Cut crepe paper streamers the length of the top of your banner pages so that there is some overlay on each side. 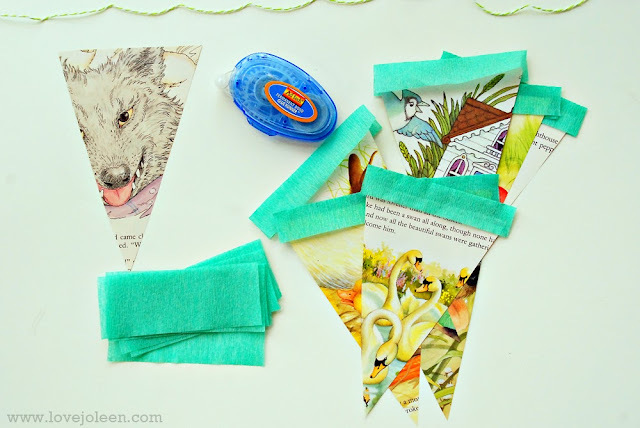 Step Three – Pre-fold your cut streamers length wise. Then, run double-sided adhesive along the back side of your banner page and stick it down on the streamer about a half inch from the bottom. Step Four - Cut your bakers twine to length. Apply double-sided adhesive to the front of your page and fold the streamer over the twine, pressing it firmly to the page. 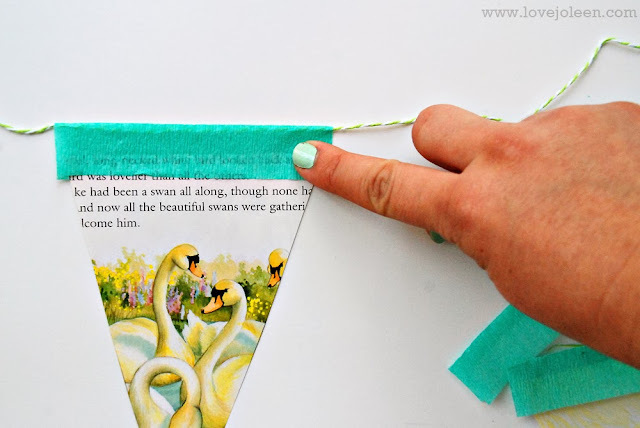 Tip: The twine should not be set on adhesive so that you can slide the banner pages, as needed. 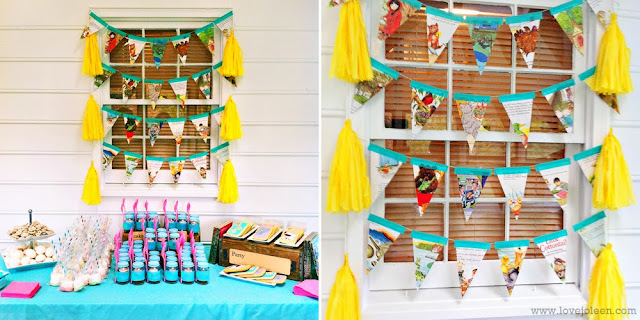 These banner garlands are so simple to make and make a great statement! Here are a couple iPhone photos from Benjamin’s party! Thanks for having me & Happy Crafting! MOMents with Jenny: Sanity Lost…If Found Please Return To Owner!! !